Continued from the previous issue — The departure of Lahoud, a staunch ally of Syria during his nine years in office, was a long-sought goal of the government installed by parliament’s anti-Syria majority. The government has been trying to put one of its own in the post and seal the end of Syrian dominance of Lebanon. 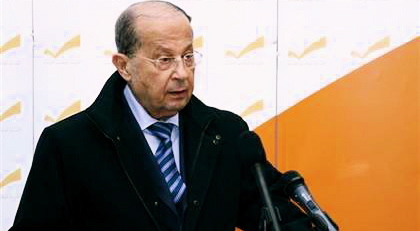 Opposition Christian politician Michel Aoun warned against the cabinet taking over the role of the presidency. 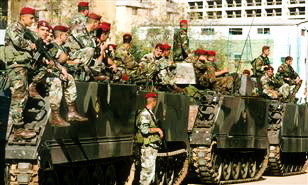 The fight has put Lebanon into dangerous and unknown territory. Both sides are locked in bitter recriminations, accusing the other of breaking the constitution, and they are nowhere near a compromise candidate. 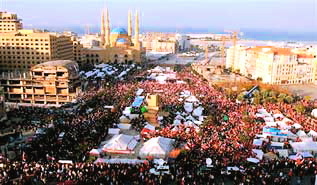 International pressure and mass protests after the assassination of former Prime Minister Rafik Hariri forced Syria to withdraw its troops from Lebanon in 2005 after 29 years. 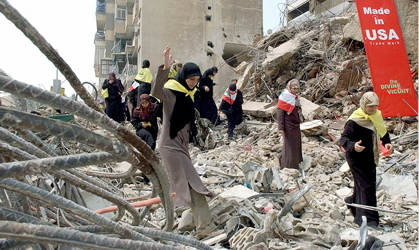 Many in Lebanon blamed Syria for Hariri’s killing but Syria denied it. On Saturday, army chief of staff Maj. Gen. Shawki al-Masri visited the Presidential Guards at Baabda Palace near Beirut and said the army command will strengthen security measures when needed as it “did in the past years.” The army will face a tough challenge maintaining the peace in the coming days and weeks amid the sectarian-charged atmosphere and persistent reports of proliferation of small arms among individuals and political parties. 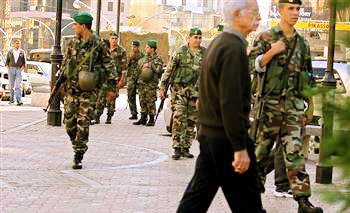 So far, the 56,000-member military has successfully kept this tiny, fractious country together, surviving one crisis after another since the February 2005 assassination of Hariri. In the past two years, the army has emerged as a neutral force, protecting and separating pro- and anti-Syrian groups and maintaining order during angry protests and funerals. In January, the army imposed a curfew to quell Shiite-Sunni clashes that killed 11 people. Army commander Gen. Michel Suleiman has ordered his soldiers to ignore politics and “listen to the call of duty.” But the open-ended political crisis raises the question of how long the under-armed and over-stretched army can continue to hold. 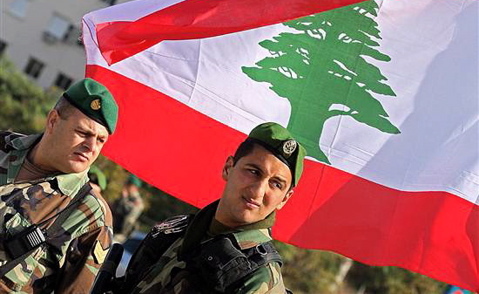 Experts say the army will be united unless Lebanon endures major sectarian violence — especially fighting between Sunni and Shiite Muslims — over an extended period. “Then it will start to fracture,” said retired Lebanese army general Elias Hanna. He said the conditions today are different from those at the onset of the 1975-90 civil war, which pitted Christians against Muslims and saw the military splinter along sectarian lines. Unlike then, Lebanon political tensions are now fractionalized more along Sunni-Shiite lines, with Christians divided.